Hector Lopez is a Mexican artist who dreamed as a kid of traveling around the world and seeing as many countries as he could. And he achieved that through music. Now, almost eight years since he moved to Romania and joined the Bucharest National Opera, he sees himself as more of a local. In very fluent Romanian, tenor Hector Lopez speaks to Romania-Insider.com about his life as an artist in Romania and about the public he discovered here. Hector Lopez, the 38-year old artist born in Tijuana, Mexico, came to Romania almost eight years ago by chance, as he confesses in an interview for Romania-Insider.com. Chance brought him to the country where he eventually met his wife. A well-known pianist from Barcelona introduced him to the director of the National Opera in Bucharest, and after two opera shows performed in Romania, he decided to remain here, for an indefinite period. Now he is a tenor at the National Opera in Bucharest, appearing as Mario in Puccini's 'Tosca' and Don Jose in Bizet's 'Carmen'. He started his career in music by learning how to play the cello, and later, at around 24, he started to take singing lessons. “I was sure I would do something in art, because I also painted. 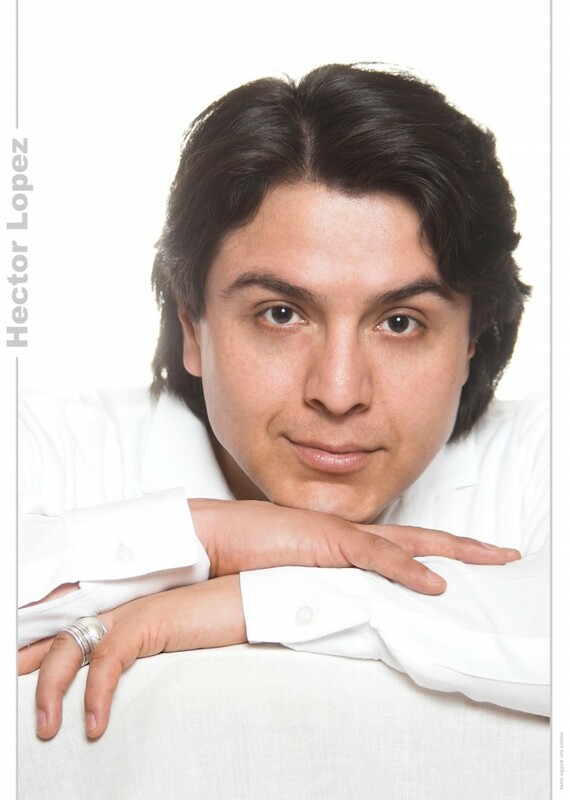 I did fine arts, but at a beginner level, from 7 to 12 years,” Hector Lopez told Romania-Insider.com. After debuting in 2000 in 'The Abduction from the Seraglio' by Mozart, Lopez has traveled and performed in many countries around the world, from Latin America - Costa Rica, Guatemala, Argentina, to countries in Europe, such as Italy, Spain, France. As a kid, he dreamed of traveling around the world, but he never thought he would get to see so many places. “Anyway, I still have a lot of places to see, to feel, to smell. Actually, that was the first thing I did when I came to Romania. I asked where I can smell the essence of this country, and I went to the market. Not because it’s a bad smell there, but because the smell of cabbage and the rest represents for me the essence of this country - post-communism and adaptation to the new regime,” he adds. In his eight years here, he has tried to discover as much of the country as possible. His favorite place in Romania is Cluj where he has also been due to work. “I’ve performed there, I’ve made some good friends and now I go and sing there periodically,” Lopez adds. Other cities such as Timisoara, Brasov, Galati are also among his favorite places. However, he admits that he hasn’t yet managed to see Romania’s Moldova area. He likes Romanian people, because they are warm and kind, as well as very determined. “After so many years I feel like I am Romanian myself and I don’t like when people from other countries judge the Romanians. We can’t speak about an entire nation just because of a few people. It’s not fair. Romanians are seen in Western Europe as Mexicans are seen in the US,” he thinks. He likes Romania and says he has a happy life here, but there are still some things he would like to change about the people living in this country. He would like people that are working in the services sector to smile a lot more. “For example, when you go shopping and you meet a woman that speaks in a harsh way. That’s not nice and I think that with a more cheerful spirit things can change,” Lopez says. However, he immediately adds that he understands that this kind of thing can happen when people are obliged to do something they don’t like. He finds the Romanian public to be very demanding, which, from his point of view, is not always a good thing. “Many of the people who come to the opera are very demanding because they are very well informed. In a way it's good they are, but somehow this is not good. We should enjoy the music more,’ he adds. Hector Lopez would tell foreigners to ignore negative comments about Romania, as something negative can be found about pretty much everywhere. “In Spain for example, somebody stole my wallet with everything I had in it. That has never happened to me in Romania. Come to Romania because this is a beautiful country!” he concludes.